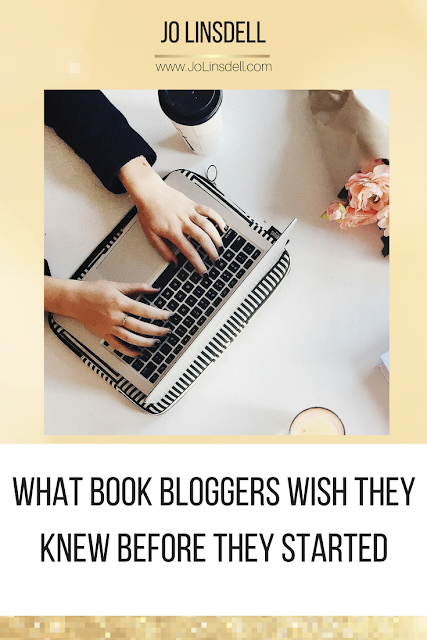 Continuing the theme of book blogs, today we're looking at what we wish we knew before we started out in the wonderful, and sometimes stressful and overwhelming, world of book blogging. As with most things in life, you only realise certain things after you've started. That applies to blogging too. I started blogging back in 2006 and have learnt a few (make that a LOT) of lessons over the years. Back when I first started out in blogging I didn't really have a plan of action. I created posts but didn't have specific goals for them, or my blog in general for that matter. The focus of my blog, my branding, and everything else has been in constant evolution over the years, and now, after around 12 years of blogging I finally have my plan. Since developing my plan traffic to my blog has increased loads, and posts are getting more comments and shares. This has had a positive effect on the number of sales/clients, and the number of opportunities that have come my way. I also now have a more specific following on social media... one that actually fits my target audience. It's easy to get caught up in the numbers game, but the number of followers you have isn't as important as who they are. It's much better to have a smaller, active, engaged readership than just a number to show on your profiles. Make yourself an editorial calendar to keep track of all your blog posts. This is essential if you plan of hosting others on your blog (which I highly recommend you do as it's a great way of driving new traffic). It also makes it easy to track which posts you've scheduled in advance. It's always a good idea to schedule at least some of your weekly blog posts in advance. This takes the pressure off. Especially when you're just starting out, you can feel like you can't say no. You feel like you have to agree to hosting tours, or reviewing any book that you're contacted about. None of that is true. You can host who you want, and pick the books you want to review and decline the others. It's your blog. The blogging world, and that of social media (which is strongly connected) is constantly changing. Just when you think you've mastered something, a new feature is launched, or changes are made to SEO algorithms. It's part of the process. There's always something new to learn. The easier you make for readers to share your content, the more likely they are to share it. The more sharing options you give them, the more places they'll share it to. One of my favourite blogging discoveries was the SUMO app. Not only does it mean readers can click to share my posts on various social media sites as a simple text post, or share it with an image from the post, but the can also highlight a quote from the post to share too. 3 different sharing options which allows my content to be shared on pretty much every social media channel. "It’s not as lonely as you think. While physically, I am alone reading and reviewing books only, I have gained a community of bloggers and book nerds who follow my blog, like and share my posts and actually enjoy reading about what I am selling. I would also have loved to have known how accommodating book publicists are in providing proof copies and sharing your posts despite not being a particularly prolific blogger. You build your brand alongside theirs!" Sometimes it can make reading seem like a chore. You will get a lot of random authors asking you to review their books, so make sure you include a review policy on your blog ASAP. The blogging community is extremely fun and welcoming! It is absolutely hard work, but so so worth it! I wish I had known what I wanted my theme to be because now that we are in the process of changing it, I realize just how many posts I actually have. It's going to take longer than I expected. So, my advice? Don't rush in. Figure out what you want before you do it! 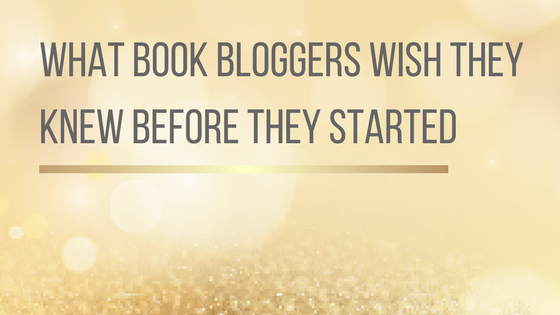 Also, what else would you like to know about the topic of book blogging?